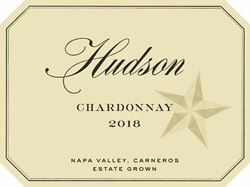 Hudson Ranch is committed to excellence, growing the finest wines possible. Every vintage provides its own opportunities and challenges; creating quality, individuality and nuance in each bottle of wine. Private and Semi-Private tastings by prior appointment only. Our experience provides an intimate setting to take in our hospitality, property, beautiful views and a selection of our current released wines. Please allow approximately 90 minutes for your visit. Hudson Ranch is certified under the Napa Green Winery Program by the Napa County Department of Environmental Management (DEM) and the Association of Bay Area Government’s (ABAG) Green Business Program and completed all the regulatory components needed for environmental sustainability. These components included developing water and energy conservation methods, preventing pollution, and reducing solid waste. In addition to developing sustainable winery practices, this program is set to become the standard for the state of California. Hudson Ranch is certified under the Napa Green Certified Land Program. Hudson Ranch has created and implemented a customized farm plan with measured results that addressed all aspects of its property, vineyard land as well as non-farmed land, including practicing soil conservation, water conservation, stable drainage, riparian corridor enhancement, fisheries and wildlife habitat enhancement and long-term improvement and sustainability.